I don't normally get too excited about cartoons anymore. While I did love watching cartoons all the way until I was in my pre-teens (in the form of 'The Simpsons', 'Daria', and 'Beavis and Butthead'), more recent cartoons like 'Adventure Time' have failed to capture my attention for more than a few episodes. Well, it looks like that might change. From the mind of Matt Groening ('The Simpsons' and 'Futuruma') comes a new adult animated comedy fantasy series called 'Disenchantment' and 10 full episodes of it will be launching on Netflix this August 17, 2018. 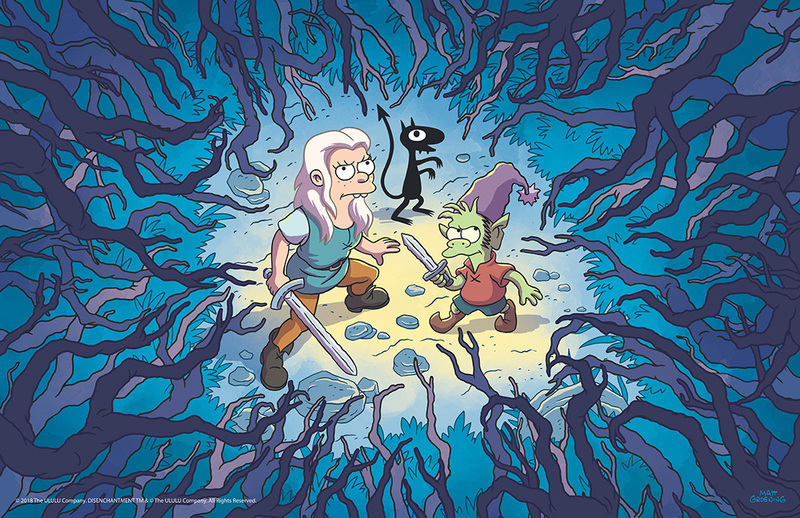 Honestly, they had me at Matt Groening, but it totally helps that it's an adult comedy. Plus, it's a fantasy series!!! Win, win, win all around! 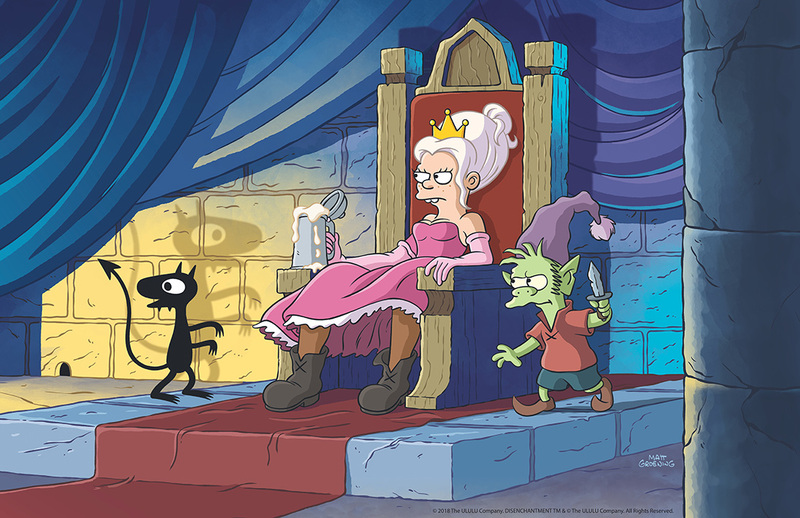 'Disenchantment' is set in the crumbling medieval kingdom of Dreamland following the misadventures of hard-drinking young princess Bean (yup, definitely me! ), her feisty elf companion Elfo, and her personal demon Lucy. Along the way, the oddball trio will come across ogres, sprites, harpies, imps, trolls, walruses, and lots of human fools. Find out more about 'Disenchantment' here. Never heard of this show. So will have to check it out. Have a great week.